Imogen's Typewriter. 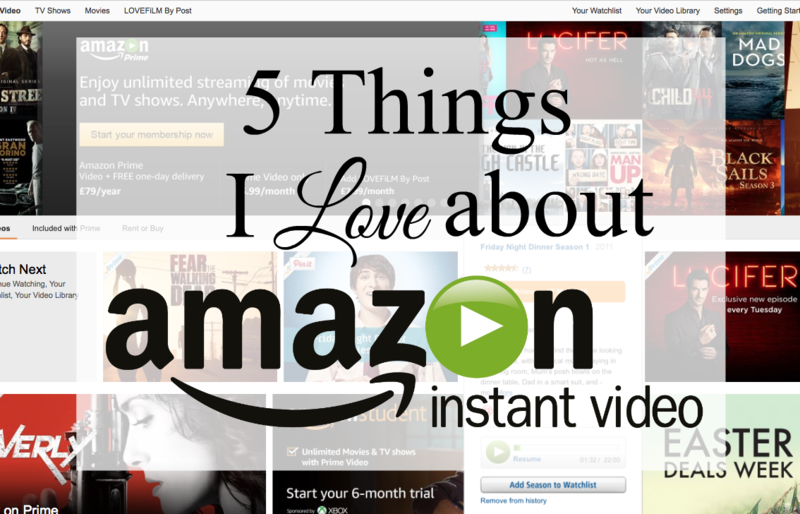 : 5 Things I Love about Amazon Instant Video! The Walking Dead, Fear The Walking Dead, X-Files, Constantine, Arrow, Outlander, The 100, Parks and Recreation, Sleepy Hollow, Revolution, Under The Dome, Vikings, Lucifer, Black Sails, Crossing Lines. Amazon has some very well known shows that UK Netflix just lacks. Current shows as well, with some updating every week with new episodes. Did you know this? I didn't know this. At £5.99 a month for Instant Video to Netflix's £6.99 a month, Amazon is the cheaper option. In fact, an Amazon Prime account at £79 a year still works out cheaper at around £6.58 a month with the free shipping and Amazon Music and all that other stuff. I think that's enough maths, basically- cheaper. I don't have Prime but my mum does and I figured out how to share it here! Pretty neat. Friday Night Dinner, Educating Essex, The IT Crowd and The Inbetweeners were taken off on the 27th March. How do I know this? Not by suddenly finding them gone or searching the internet. It's clear on both the app and the site. My one wish for the Netflix app is a skip forward 10 seconds button to go with the skip backwards 10 seconds button. Basically so I can skip through credits and 'previously on'. If I've been watching a show for hours, I know what happened last episode. But alas, it doesn't. And the Amazon one does, along with intuitive pausing (press the middle of the screen) and sliding to skip (left for forward, right for back). Netflix has better original shows but the Amazon ones aren't half bad! I just marathoned Alpha House, a comedy show about four Republican congressmen, and The Man in the High Castle looks really good. I'll probably watch it after I read the book. They don't have a lot of originals, but I think over the next few years they will really pick up their game. Do you have Prime Instant Video? You can get a 30-day Free Trial here! *My Amazon link is an affiliate link. Sign up and fund my TV habit, or don't, you do you.